Karen's raspberry and white chocolate cheesecake recipe makes the most of beautifully plump summer berries. 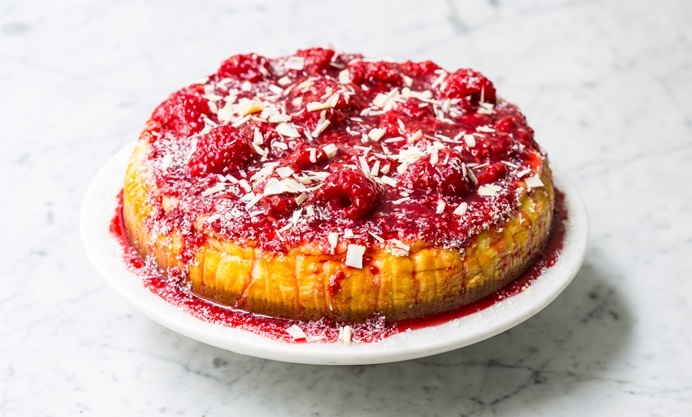 The creamy baked white chocolate base is the perfect match to zingy raspberries, perfect for a summer celebration. Set the scene: it’s summer and the weather has been kind, so you, your family and friends are sitting outside after an idyllic al fresco dinner party, when you take out your piece de resistance, the dessert! 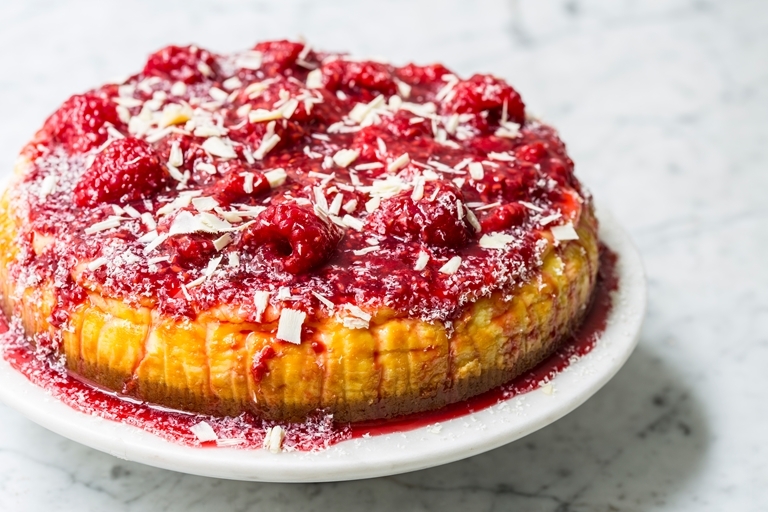 A beautiful berry creation of white chocolate, cream, jam and luscious ruby red raspberries... a Raspberry and white chocolate cheesecake, which is bound to bring an ovation from all the diners! This recipe is for a baked cheesecake, and once baked it needs to cool completely before serving it. A top tip – be very careful when melting the chocolate. Don’t rush it, you must melt it over a gentle heat, otherwise it will turn grainy and lumpy. Other than that, this cheesecake is a breeze to make and will grace any dinner party dessert table, as well as a special treat for any family gathering.